The Q.I.P.W.H.T. is proud to unveil the new features for the 60th edition! Hockey Hall of Fame, new countries, book on the 60 years of the tournament, visits of hockey stars and other surprises that will appeal to both young and old are at the rendezvous! This year, 19 countries will participate in the tournament, a record in 60 years of history! For the first time, teams from Lithuania and Romania will be present. They will evolve in the BB category. The Russians will also be back after 6 years of exclusion. 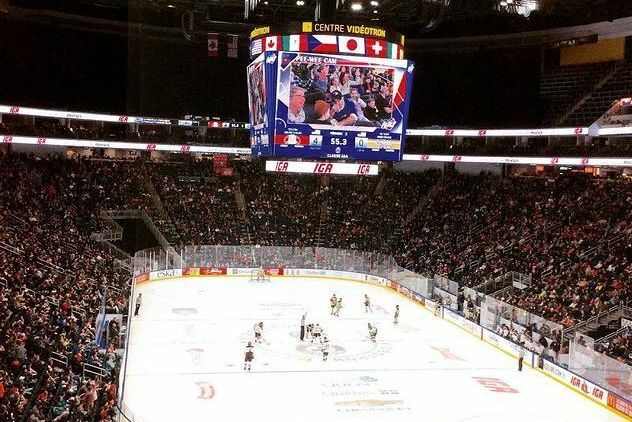 School hockey is becoming more and more popular in Quebec and the tournament is following the wave. This year it is not 8, but 12 teams that will compete. From outside Quebec, we will meet the Blyth Academy Bruins from Ontario and the Vermont Flames. A hot competition to watch! The traveling exhibition of the Hockey Hall of Fame will be installed directly at the Videotron Center from February 15 to 18 and will span 11,000 square feet! Everyone will be able to visit it, free, upon presentation of a general admission ticket or an official accreditation of the tournament. Various themes will be in the spotlight including: The Stanley Cup, Quebec Nordiques, Legends, etc. 4-Book: La Partie n’est pas terminée! A piece of anthology, it is what the authors of the new book La partie n’est pas terminée! have created. Statistics, anecdotes, highlights, quotes and more than 400 photos, this is what you will discover in the new book on 60 years of tournament history. The books are now on sale at all Hockey Experts, L’Entrepôt du Hockey and Sports Rousseau stores, as well as at Sports Experts and Canadian Tire stores in Quebec city. For every book sold, $2 will go to the Jumpstart Charity whose mission is to promote the development of children and families in need, to allow them to enjoy a summer camp experience or to practice sports activities. The Hanson Brothers will be present on February 16th and 17th. They will sign autographs, take photos and meet supporters. We will also have the privelege of visits from Bobby Orr, Guy Lafleur and other hockey stars. Hours of their comings will however be revealed later, stay tuned! More than 30 NHL players will be present at the tournament as coaches, parents or accompanists. The complete list with their names and link with the team is at the bottom of this page. The organization, wishing to offer more free parking, has reached an agreement with Fleur de Lys shopping center which will offer 1,000 additional and free parking spaces. People will be able to park their car and walk to the Videotron Center, which is a five (5) minute walk away. Fleur de Lys (FDL) will also offer for the duration of the tournament a particularly dynamic programming that will appeal to all participants in the tournament. From February 13 to 24, come and encourage the next generation!